No matter what the calendar says, it is always flu season somewhere in the world. In North America, Europe, Russia, China, and Japan, influenza usually first appears in late October and disappears in March. In South America, Central America, Australia, and New Zealand, influenza usually first appears in March and disappears in October. In the rest of the world, flu infections are common all year round. And the H1N1 virus operates on a two-schedule, becoming epidemic as temperatures are cooling off and then again when temperatures warm up. Fortunately, there are some very simple measures you can take to keep yourself and your family free of the flu, and one of the most effective of them-even more effective than a flu shot-is elderberry extract. Conspiracy theorists love the topic of flu shots. I do not offer any opinions on the political machinations involved in promoting flu shots, but I do offer an academic opinion on whether or not they work. The big problem with flu shots is that the vaccine makers don't know which strain of flu they will be vaccinating against ahead of time. Even in the age of H1N1 and its variations, there are still three main types of influenza viruses, influenza A, B, and C. Influenza A is typically spread from person to person (although a particularly deadly strain of in fluenza A was spread from chickens to people in Hong Kong in 1997), but influenza B and C can be spread from human to human or from animals to humans. Influenza A infections are the most common, while influenza B infections are the most deadly. 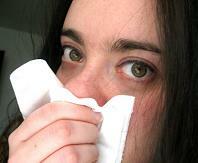 Influenza C causes a very mild illness that does not cause epidemics. The flu virus is spread when an infected person coughs, spits, speaks, or sneezes and sends virus particles in the air to be inhaled by other people. Less often, the flu is spread when sputum or mucus of an infected person lands on a doorknob or other surface and is then touched by another person who then touches his or he nose or mouth. To cause infection, the spherical influenza virus must insert protein spikes called hemagglutinin into the linings of red blood cells. Once it has entered the cells, the virus multiplies in the linings of the nose and throat for 3-7 days before causing symptoms, but it can be transmitted from person to person just a few hours after infection. An infected person sheds and spreads the virus for about a week, although people with weakened immune systems (people with cancer, HIV, or taking immunosuppressant drugs after transplant) are infectious for up to 2-3 weeks. The influenza virus is constantly mutating so every epidemic is caused by a different strain of the infection. The immune system seldom gets a chance to use its "memory" to fight the flu, so that it is possible for people to get the flu many times during their lifetimes. Vaccination and/or other measures are necessary every year to avoid getting the flu. And as I mentioned before, vaccination for the flu is hit or miss at best (and that's assuming you have no problems with the basic idea of vaccines, which is a little more than I care to discuss in this article). Dr. Madeleine Mumcuoglu discovered that elderberry contains a protein that prevents hemagglutinin, the "spikes" of the flu virus, from attaching to cells. This action effectively confines the flu virus and limits the duration of symptoms. Clinical studies at Hebrew University in Jerusalem have found taking elderberry extract reduces the duration of flu symptoms from an average of 6 days to 2-3 days. Elderberry is effective against both influenza A and influenza B. An added advantage to the use of elderberry is its record of safety. There are no known adverse reactions to the use of the herb, although the possibility of an individual allergic reaction can never be discounted. Children may respond best to an elderberry formula made with glycerin rather alcohol or sugar syrup. Even though people like me having been doing our best to publicize the benefits of elderberry extract in treating the flu for years, the most commonly used herb is still echinacea. Echinacea is the most frequently used herb for treating the flu, but it is not necessarily the first choice for treating the flu. In a study reported in the European Journal of Clinical Research, 120 people were given either Echinacea purpurea juice (prepared by the German company that makes the American product Echinagard) or a placebo as soon as they started showing symptoms of a cold or flu. The volunteers took 20 drops of echinacea or the placebo every 2 hours for 1 day, then 20 drops 3 times a day for a total of 10 days. Only 40 percent of those taking echinacea developed "real colds" or flu, compared to 60 percent of those taking the placebo. Among the volunteers who did develop colds or flu, those taking echinacea started getting better in an average of 4 days compared to an average of 8 days for those who took the placebo. Other studies of echinacea have found similar results. The benefits of echinacea in treating colds and flu seem to be greatest in people who have low T-cell counts, such as people on chemotherapy or who use corticosteroids for lupus, multiple sclerosis, rheumatoid arthritis, or Sjogren's syndrome, or people with HIV or AIDS. Some people shouldn't use echinacea. Women who are trying to get pregnant should avoid Echinacea purpurea. It contains caffeoyl esters that can interfere with the action of hyaluronidase, an enzyme essential to the release of unfertilized eggs into the fallopian tube. There is laboratory evidence that Echinacea angustifolia contains chemicals that deactivate CYP3A4. This is a liver enzyme that breaks down a wide range of medications, including anabolic steroids, the chemotherapy drug methotrexate used in treating cancer and lupus, astemizole (Hismanal) for allergies, nifedipine (Adalat) and captopril (Capoten) for high blood pressure, and sildenafil (Viagra) for erectile dysfunction, as well as many others. Echinacea angustifolia might help maintain levels of these drugs in the bloodstream and make them more effective, or it might also cause them to accumulate to levels at which they cause side effects. Switch to a brand of echinacea that does not contain Echinacea angustifolia if you experience unexpected side effects while taking any of these drugs. Echinacea stimulates immune function, but it also slightly increases production of T cells. These are the immune cells attacked by HIV. When there are more T cells, the virus has more cells to infect. This gives it more opportunities to mutate into a drug-resistant form. The authoritative reference work The Complete German Commission E Monographs counsels against the use of echinacea for treating colds and flu in people who have HIV or autoimmune diseases such as multiple sclerosis. Later communications between the senior editor of the Monographs and the German Food and Drug Administration revealed that the warning in the reference book was based on theoretical speculation rather than practical experience. Still, as a precaution, people with HIV should only use echinacea for treating the flu rather than preventing it. Elderberry does not pose these problems. In fact, it is recommended for people who have HIV, people on chemotherapy, and people with other serious immune problems. More importantly, it has a very specific effect on the influenza virus that does not involve the immune system. It won't trigger autoimmune reactions by overstimulating the immune system, and it is effective before, during, and after influenza infection. It's safe for every member of the family and it even tastes good. Start taking 1 or 2 teaspoons (5 to 10 ml) of elderberry extract in the early fall and continue taking it through the early spring. Save high-dose zinc, high-dose vitamin C, and echinacea for those times you may have forgotten to take elderberry and you got a flu infection. I don't recommend taking elderberry tea, eating elderberry jam, slurping elderberry syrup on your pancakes, or drinking elderberry juice for preventing or treating the flu. It is not that they aren't mildly medicinal or they can't help you with cough, congestion, and body aches. 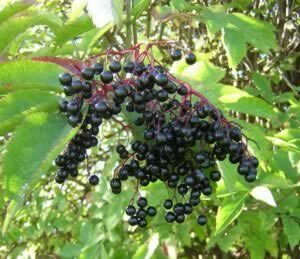 The reason I don't recommend using elderberry as a health food is that people don't usually eat or drink a health food each and every day, and you need maximum protection to get through flu season without catching an infection. Does elderberry prevent H1N1 infection? Scientists at the Herbal Research Group in Naples, Florida tell us that the answer is yes. They found that in the test tube elderberry extracts bound to H1N1 viruses just as effectively as oseltamivir (Tamiflu) and amantadine (Symmetrel). I've also heard from users who say that they didn't catch H1N1 when they used elderberry prophylactically, so I take both of these as a strong positive indication. Scientists have recently found that elderberry extracts also fight bacterial infections. Even if you don't take elderberry before you get the flu, you may benefit by taking it afterward to bolster your defenses against strep throat after your immune system is weakened by the flu. Anonymous. Anecdotal reports: elderberry extract plus chondroitin and glucosamine sulfate and Thy-mate reduces viral load to non-detectable levels in 10 days. Posit Health News. 1998. pp. 7-11. Atkinson MD, Atkinson E. Sambucus nigra L. J Ecol. 2002;90:895-923. Blochwitch M. Anatomia sambuci, or, The Anatomy of the Elder cutting out of it plain, approved, and specific remedies for most and chiefest maladies: confirmed and cleared by reason, experience, and history. London: H Brome and T Sawbridge; 1677. De Pascual-Teresa S, Moreno DA, Garcia-Viguera C. Flavanols and anthocyanins in cardiovascular health: a review of current evidence. Int J Mol Sci. 2010;11:1679-1703. Grieve M. In:A Modern Herbal. Leyel, C. F, editor. 2010. Gupta RK, George R, Nguyen-Van-Tam JS. Bacterial pneumonia and pandemic influenza planning. Emerg Infect Dis. 2008;14:1187-1192. Hay AJ, Wolstenholme AJ, Skehel JJ, Smith MH. The molecular basis of the specific anti-influenza action of amantadine. EMBO J. 1985;4:3021-3024. Hearst C, McCollum G, Nelson D, Ballard LM, Millar BC, Goldsmith CE, Rooney PJ, Moore JE, Rao JR. Antibacterial activity of elder (Sambucus nigra L. ) flower or berry against hospital pathogens. Journal of Medicinal Plants Research. 2010;4:1805-1809. Kiso M, Mitamura K, Sakai-Tagawa Y, Shiraishi K, Kawakami C, Kimura K, Hayden FG, Sugaya N, Kawaoka Y. Resistant influenza A viruses in children treated with oseltamivir: descriptive study. Lancet. 2004;364:759-765. Liu AL, Wang HD, Lee SM, Wang YT, Du GH. Structure-activity relationship of flavonoids as influenza virus neuraminidase inhibitors and their in vitro anti-viral activities. Bioorg Med Chem. 2008;16:7141-7147. Netzel M, Strass G, Herbst M, Dietrich H, Bitsch R, Bitsch I, Frank T. The excretion and biological antioxidant activity of elderberry antioxidants in healthy humans. Food Res International. 2005;38:905-910. Nicholls JM, Bourne AJ, Chen H, Guan Y, Peiris JS. Sialic acid receptor detection in the human respiratory tract: evidence for widespread distribution of potential binding sites for human and avian influenza viruses. Respir Res. 2007;8:73. Pleschka S, Stein M, Schoop R, Hudson JB. Anti-viral properties and mode of action of standardized Echinacea purpureaextract against highly pathogenic avian influenza virus (H5N1, H7N7) and swine-origin H1N1 (S-OIV)Virol J. 2009;6:197. Roschek B Jr, Fink RC, McMichael MD, Li D, Alberte RS. Elderberry flavonoids bind to and prevent H1N1 infectionin vitro. Phytochemistry. 2009;70:1255-1261. Roxas M, Jurenka J. Colds and influenza: a review of diagnosis and conventional, botanical, and nutritional considerations. Altern Med Rev. 2007;12:25-48. Uncini Manganelli RE, Zaccaro L, Tomei PE. Antiviral activity in vitro of Urtica dioica L. ,Parietaria diffusa M. et K. and Sambucus nigraL. J Ethnopharmacol. 2005;98:323-327. Wright CI, Van Buren L, Kroner CI, Koning MM. Herbal medicines as diuretics: a review of the scientific evidence. J Ethnopharmacol. 2007;114:1-31. Wu X, Cao G, Prior RL. Absorption and metabolism of anthocyanins in elderly women after consumption of elderberry or blueberry. J Nutr. 2002;132:1865-1871. Wu X, Gu L, Prior RL, McKay S. Characterization of anthocyanins and proanthocyanidins in some cultivars of Ribes, Aronia, and Sambucus and their antioxidant capacity. J Agric Food Chem. 2004;52:7846-7856. Zafra-Stone S, Yasmin T, Bagchi M, Chatterjee A, Vinson JA, Bagchi D. Berry anthocyanins as novel antioxidants in human health and disease prevention. Mol Nutr Food Res. 2007;51:675-683. Zakay-Rones Z, Thom E, Wollan T, Wadstein J. Randomized study of the efficacy and safety of oral elderberry extract in the treatment of influenza A and B virus infections. J Int Med Res. 2004;32:132-140. Zakay-Rones Z, Varsano N, Zlotnik M, Manor O, Regev L, Schlesinger M, Mumcuoglu M. Inhibition of several strains of influenza virus in vitro and reduction of symptoms by an elderberry extract (Sambucus nigra L. ) during an outbreak of influenza B Panama. J Altern Complement Med. 1995;1:361-369.